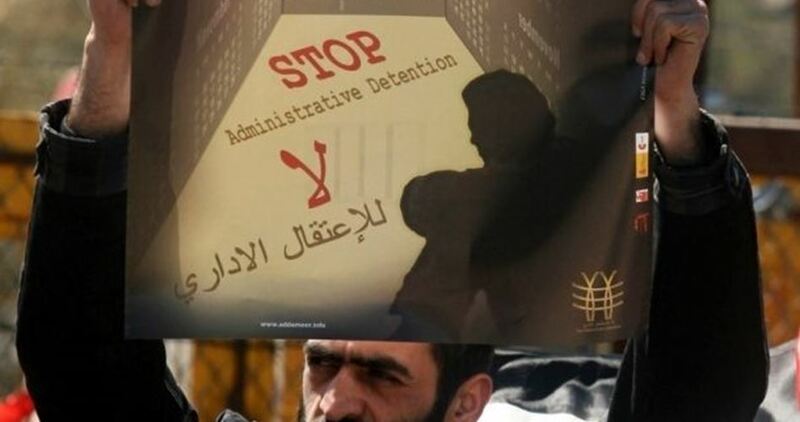 Israeli occupation authorities on Monday issued administrative detention orders against the Palestinian human rights researcher Ayman Karaja and Hamas official Raafat Nasif. Israel’s Ofer military court decided to detain Ayman Karaja, who works for al-Dameer Organization for Human Rights, for six months without charge or trial. Karaja, who had served several sentences in Israeli jails, was recently arrested from his house during an Israeli raid into Safa village near Ramallah. Palestinian Prisoners Media Office said in a brief statement that Israel’s Salem military court issued a four-month administrative detention order against Hamas official Raafat Nasif. The office said that Nasif, an ex-prisoner who had spent about 15 years in Israeli jails, was arrested on 4th September after the Israeli occupation forces raided his house in Tulkarem. There are 6,000 Palestinians languishing in Israeli jails, 430 of whom are administrative detainees, and 300 are minors. Administration detention is usually decided without charge or trial based on secret files and evidence that cannot be reviewed by the detainees or their lawyers. In most cases, a single administrative detention order extends for six months and it can be renewed without limits. The Palestinian Authority (PA) has asked the Cypriot government to reject the proposal of operating a water passage connecting it with the Gaza Strip, Quds Press reported yesterday. An informed source told Quds Press that the Chief of PA Intelligence Services Majed Faraj met with his Cypriot counterpart to discuss the issue, adding that Faraj introduced an official PA request to the Cypriot official who was invited to Ramallah. The source also stressed that the Cypriot official stressed that his country would not accept operating a water passage without the agreement of the three parties related to the issue, which are Israel, Egypt and the PA.
During the meeting with the Palestinian official the Cypriot official said that the Egyptian intelligence, which is brokering the Palestinian reconciliation efforts, rejected the proposal of the water passage, but the Israelis are divided in this regard – Shabak rejected it and Mossad accepted it with certain conditions. The source said that the PA President Mahmoud Abbas told Faraj and the PA Minister for Civil Affairs Hussein Al-Sheikh said that he is planning to increase punitive measures against Gaza, noting that some of Abbas’ measures are undermining building a seaport or an airport. Regarding Abbas’ flexibility towards reconciliation talks, the source said he does not want to infuriate the Egyptians so that he drags the PA in the “undesired direction”. It is worth noting that the Palestinian resistance in Gaza was very close to reaching a truce with the Israeli occupation brokered by Egypt, but the PA insisted that it would not go ahead with internal reconciliation talks if that truce was announced. As many as 17 ill Palestinian prisoners face a “slow death” on a daily basis due to medical negligence in Israel’s Ramla Prison hospital, a prisoners’ rights group has reported. The Commission of Palestinian Prisoners and Ex-Prisoners said on Sunday that 17 sick prisoners are now incarcerated in the prison hospital suffering from extremely difficult medical and detention conditions. A majority are disabled and rely on wheelchairs and other prisoners to meet their daily needs. The organisation stressed that the patients suffer from what it alleges is “deliberate medical negligence”, including a lack of medical and health services, diagnostic tests and treatment. The hospital staff, it claimed, only provide painkillers and sedatives instead of proper treatment. 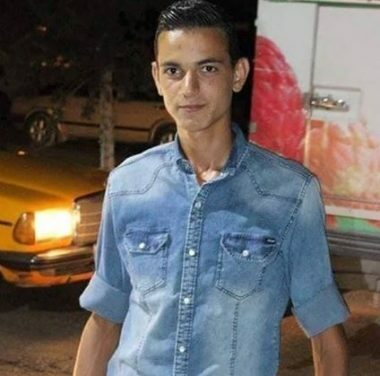 The report from the commission highlighted the case of Khalil Jabarin, who was transferred from Hadassah Ein Kerem Hospital to Ramla Prison two days ago, even though he needs ongoing medical treatment because he was shot five times, with bullets found in several parts of his body. Mohammed Khatib, 24, died after being taken into custody during a pre-dawn raid on Beit Rima village in the occupied West Bank last Tuesday. The committee stated that “preliminary results of the autopsy clearly indicate the martyr was assaulted and beaten”, adding that the body “had bruises on the torso and the right thigh, as well as on other (body) parts”. “The brutal manner of his arrest had affected the functioning of his organs, which was the main cause of his death”, the statement added. “The autopsy was carried out at Abu Kabir forensic institute near Tel Aviv in the presence of the head of the Palestinian Institute of Forensic Medicine, Rayan al-Ali”, noted AFP. The Secretary of the PLO’s Executive Committee criticised the Israeli Jerusalem-Tel Aviv high speed railway on Sunday, Quds Net News has reported. 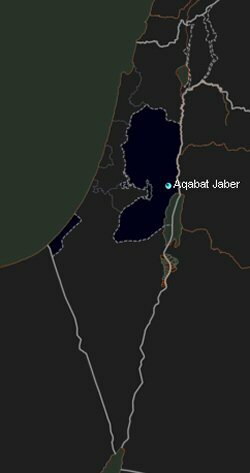 Saeb Erekat described the project as part of Israel’s plans to annex the eastern part of the occupied city. “This project is one of many illegal projects approved by the occupation authorities,” explained the veteran official. “This is an additional violation in the series of Israeli violations of international humanitarian law.” Israel’s occupation government has been working “continuously” to abandon the 1967 borders, he added. Erekat renewed his call for international companies not to get involved in Israel’s projects which consolidate its illegal settlement-colonies and apartheid in occupied Palestine. He called for the UN Human Rights Council to publish data on the firms which support the Israeli occupation and its settlements as stipulated in Resolution 31/36 which was adopted on 24 March, 2016. The Jerusalem Post briefly published an article earlier this month stating that the Israeli army has now admitted “that it provided large amounts of cash, weapons, and ammunition to Syrian rebels in the Golan Heights.” I say “briefly” because it was not long before the article was summarily deleted from the newspaper’s website, without any editorial note or explanation. There are still some copies of the article online. While both the Post and the Israeli army have refused to comment on the article or why it was sent hurtling rapidly down the Memory Hole, it seems likely that it was censored by the military. The Israeli army operates a powerful influence on the country’s media through its military censorship office. Officers can decide in the “national interest” that anything published in the local media can be censored without much – or anything – in the way of explanation. These sweeping powers are, of course, yet another reminder why – contrary to its propaganda — Israel is no real democracy at all. For those paying attention, the article didn’t really tell us much new. Israel has for years been aiding, funding and arming extremist groups in the Golan Heights, Syrian territory which Israel has occupied illegally for decades. UN reports and foreign journalists – quoting Israeli military personnel – demonstrated this as long ago as 2015. The groups that Israel has aided in the area have included armed extremists linked to Al-Qaeda. The Jerusalem Post journalist who wrote the article claimed that this is the “the first time” that the Israeli army has admitted to providing “large amounts of cash, weapons, and ammunition to Syrian rebels in the Golan Heights.” This is not exactly accurate, seeing as how Israeli press reports in February gave fairly large chunks of detail on the number of rebel groups in the Golan that Israel was arming; it was then said to be seven and more recently rose to 12. Furthermore, Israeli army personnel speaking to foreign media have admitted to aiding extremist rebels in the Golan, even if they attempted to justify this in certain ways. While army spokespeople have come out and said this before, this does seem to have been the first time that they have said so openly, in an Israeli publication. That the military censor seems to have ordered the report deleted now suggests that the spokesperson’s comments to the Post were likely to have been intended as off-the-record or background comments. Either that or the report just generated too much negative publicity. The “Good Neighbour” reference was to Israel’s propaganda term for attempts over the past few years to extend its occupation of much of the Golan into a wider “buffering” zone in southern Syria via the use of local armed proxy forces and other front groups. Nevertheless, there is no question that Israel has been arming these groups in Syria, including those allied to, or actively part of Al-Qaeda. The question is, why did the report come out now? One doesn’t have to look far for the answer. During the summer, the Syrian army, backed by Russia, retook the area from the armed groups. Some of their members then fled to Israel. The new Israeli occupation zone in southern Syria now seems to have come to an end, with the announcement earlier this month that so-called “Operation Good Neighbour” is to shut down. The attempt to create a “buffer” zone which effectively extended the Israeli army’s illegal occupation of the Golan Heights further into southern Syria was always spun in Israeli propaganda as a “humanitarian aid” gesture to treat civilians in hospitals. However, as I have detailed in columns for years, it has long been apparent that Israel was, in fact, aiding and arming rebel groups – including Al-Qaeda – as part of its official strategic objective in the Syrian civil war to “let both sides” bleed. It is to be welcomed that Israel’s attempt to extend its control over southern Syria seems to have failed. The repercussions of this cynical policy, though, will continue for years to come. The Palestinian Health Ministry has reported that Israeli soldiers killed, on Sunday evening, a young Palestinian man, and injured at least 20 others, including one medic, along the eastern part of the besieged Gaza Strip. 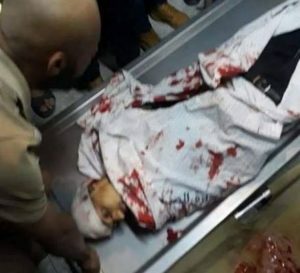 Dr. Ashraf al-Qedra, the spokesperson of the Health Ministry in Gaza, said the soldiers shot Emad Daoud Eshteiwi, 21, with a live round in the head, east of Gaza city, and moderately injured a medic in the leg. He added that the soldiers also shot twenty Palestinians with live rounds, along the perimeter fence, in the eastern parts of the coastal region, especially east of the al-Boreij refugee camp, in central Gaza, as the army shot at least 14 Palestinians. The Palestinians were shot during the ongoing Great Return March processions in the besieged Gaza Strip, while many burnt tires in an attempt to block the sniper vision of the Israeli soldiers, stationed hundreds of meters away, across the perimeter fence. In addition, Israeli drones fired missiles at protesters near the fence, east of Gaza city, causing several injuries. 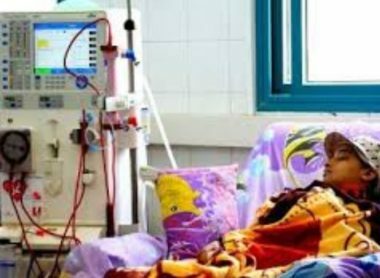 Dr. Abdullah al-Qishawi, the head of the Kidney Branch at the Shifa Medical Center in Gaza, has warned that the lives of 425 Palestinian patients, including children, who require kidney dialysis, is at a serious risk due to the ongoing Israeli siege on the Gaza Strip. Dr. al-Qishawi stated that the Israeli embargo is preventing essential medications and equipment from entering the Gaza Strip, despite the repeated urgent calls and appeals by the Health Ministry to the international community. He stated that the patients require the dialysis sessions regularly, including those who are scheduled to receive kidney transplant, and have gone through all required preparations, including special medications. Dr. al-Qishawi added that there are 54 patients who started receiving medications ahead of scheduled kidney transplant surgeries, and are now at risk of serious complications, including death. Furthermore, Dr. al-Qishawi stated that the serious shortage of medications is compounded by the ongoing power blackouts in the coastal region, and impact the quality of kidney dialysis machines, while the Israeli siege is also preventing the entry of spare parts needed to keep them running. He said that even when just one machine stops working, the patients are the ones who suffer the consequences, and face serious complications, which would likely lead to death, adding that there are 425 patients in the Gaza Strip, who have kidney failure, and completely depend on dialysis. Israeli occupation forces murdered on Monday night peaceful Palestinian demonstrator and wounded 21 in the east of the Gaza City, medical sources said. The Palestinian ministry of health identified the Palestinian youth as Imad Daud Ishtiwi, 21, and said three of the wounded suffered serious injuries. Eyewitnesses said that the Israeli occupation drones fired two missiles at peaceful protesters near the fence along the eastern side of the city. Since the latest round of Palestinian rallies began in late March, Israeli occupation has killed 185 Palestinian protesters and wounded more than 20,000 others.